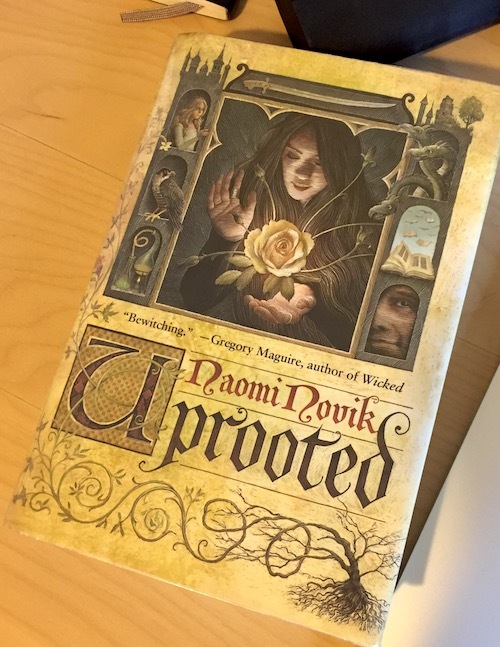 Uprooted was a lovely fairy-tale-esque story about a wizard and his apprentice fighting to defeat a Wood that’s trying to take over a kingdom. It can be summed up so simply, but there is so much action and delight in constructing the world – which isn’t an easy task – but it’s over 400 pages long. I read it in a single day. Uprooted was a delight and if you like fantasy or fairy tales, I would recommend it.